I choose to study dentistry because I loved the idea of a job that involved helping others as well as applying my theoretical knowledge of science practically. 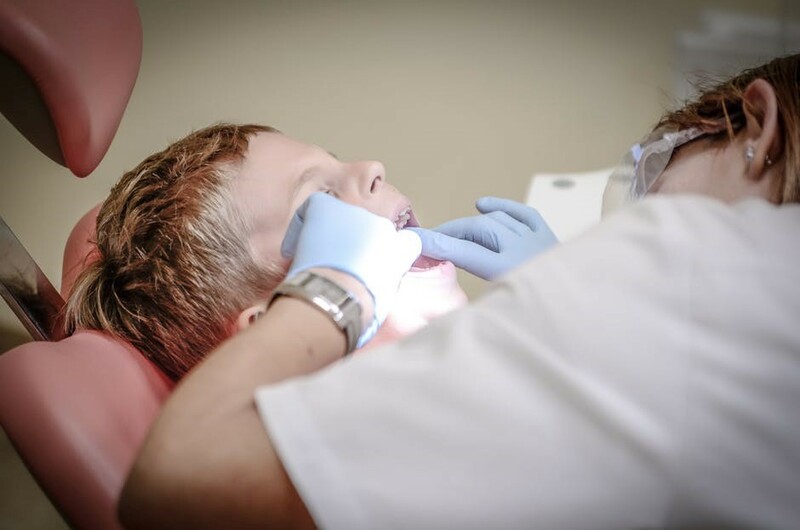 Once I developed my interest in dentistry, I began to seek work experience in a general dental practice. My experience there confirmed that it was the career for me, as I observed the range of the treatments and found it fascinating and incredible that simple things like a filling can change a person’s quality of life, their confidence and overall happiness. I choose to study dentistry at Leeds because it is renowned as an academically prestigious university in a fun city with lots to do. On top of that, I liked Leeds because of its course structure, which allows students to come in contact with patients from the get go: we are allowed to treat patients in first year, whereas other friends I know from other universities only start treatment in the 3rd year, which makes a huge difference in terms of clinical knowledge, general confidence and patient communication skills. Additionally, it is a traditional lecture-based course, which is advantageous because being taught by an experienced lecturer is far more engaging than learning behind a computer screen. Another advantage of studying at Leeds is that you will graduate with a masters instead of a bachelor degree: Leeds offer an intercalated master degree course that still only takes five years overall. What’s it like to study dentistry at Leeds University? The contact time per week varies year-to-year – as a second-year student I have around 20 hours of contact time per year. In first year, contact time consists of lectures, tutorials and seminars. In second year, a higher proportion of contact time is spent in labs, and there’s a lot of clinical work, as we also have our own patients as well as spending an afternoon a week assisting a fourth year with their patients. In third, fourth and fifth year, you progressively have more clinical time in labs and in the Leeds dental teaching hospital, with tutorials and lecturers slotted in to your timetable. Workload varies depending on the time of the year and which year you’re in as you progress throughout the dentistry course. You will have regular exams all throughout your five years at dental school, and you will need to pass all of them to progress into the next year. The workload progressively gets harder and harder as you move up the years, and on top of that you have more clinics and practical exams. These aim to link your practical knowledge with your theoretical knowledge. Coursework is distributed throughout the course with the bulk in the first term of your academic year, coursework can take form as a group project, topical essays, Wardman journal article writing, and poster making. You usually work in groups and produce an overall group project, but there are still some individual essays, for example about disease or treatment. Your choice about what you study is pretty minimal to non-existent – this is because our course is set out in stone by the university. You have to pass everything they set in order to pass the year and progress into the next year. What’s the social life like at Leeds uni? There’s a Leeds’s own Dentsoc, which is a society for all dental students at the university from first to fifth year. It’s very good for meeting new people and getting to know people from different years groups. They organise fun events that we can all go to, from fancy dress nights for Halloween and Christmas to curry nights to the dental ball. We also get a free oral B electric toothbrush worth £250 if we join Dentsoc at the beginning of first year. Studying dentistry at Leeds is special because the lecturers really are the best in their field. They are also extremely approachable and friendly, and are always willing to answer any questions you may have either during the lecture or afterwards through e-mail. There’s also support from the pastoral care department – you can easily book appointments with them online to discuss any worries you have about literally anything, including paragraphing, essay writing skills, time management or revision tips. The pastoral staff will help you out a lot. Written by - Vicky H.